Belongs with a proper traditional outfit. The suede traditional bag in light beige. Many dirndls are offered in new pastel colours and the question is what bag a woman should wear. The bag has to be big enough to house everything that is necessary and it has to look smart and be fit for a dirndl. The new bag from Schuhmacher takes on exactly this colour trend and shows itself here as a beautiful shoulder bag in light beige. 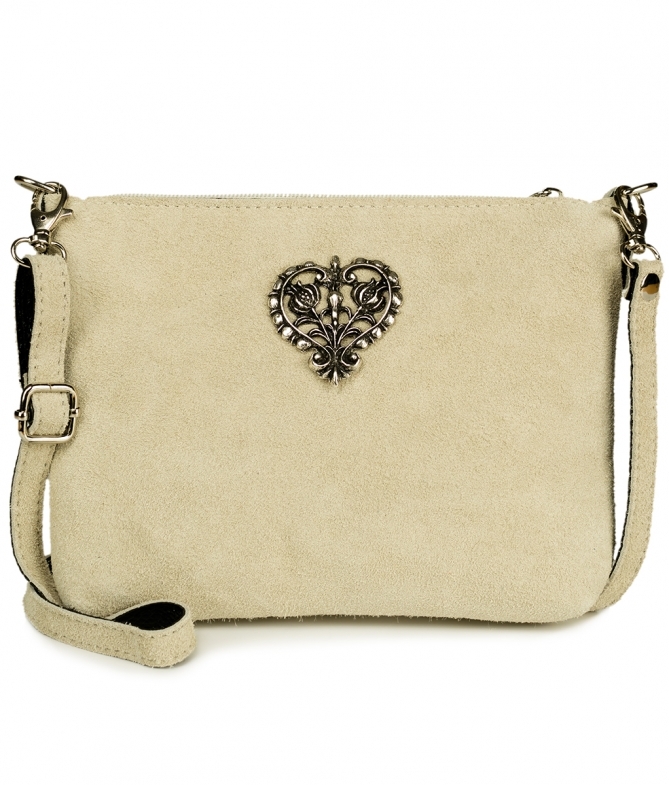 The size of 22x17 cm is suitable to be worn over the shoulder and it is suitable as a handbag. The shoulder strap is removable.